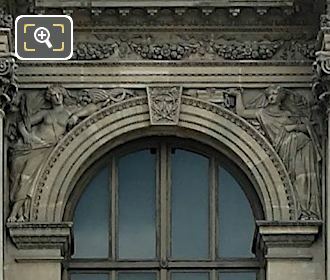 We took these high definition photos showing a sculpture on the Pavillon Turgot of the Musee du Louvre called L'Abondance et la Fortune, which was produced by Charles Emile Marie Seure, also known as Seurre the Younger. 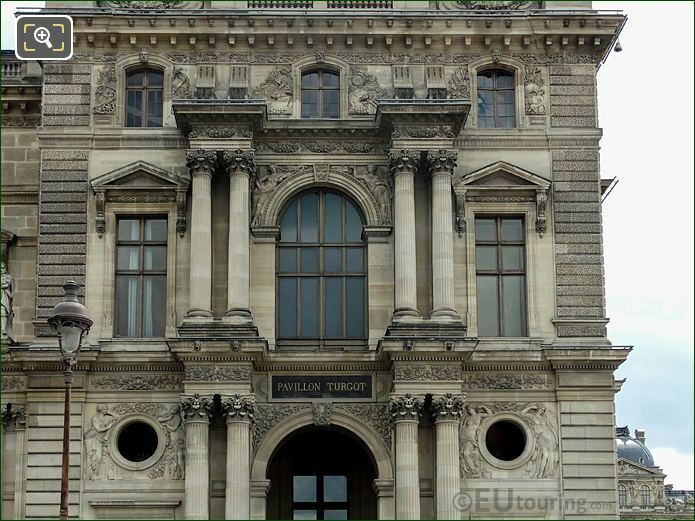 This first HD photo shows a part of a facade on the former Palais du Louvre called the Pavillon Turgot, as you can see with the plaque above the door, yet the window above this has a bas relief sculpture decoration called L'Abondance et la Fortune. 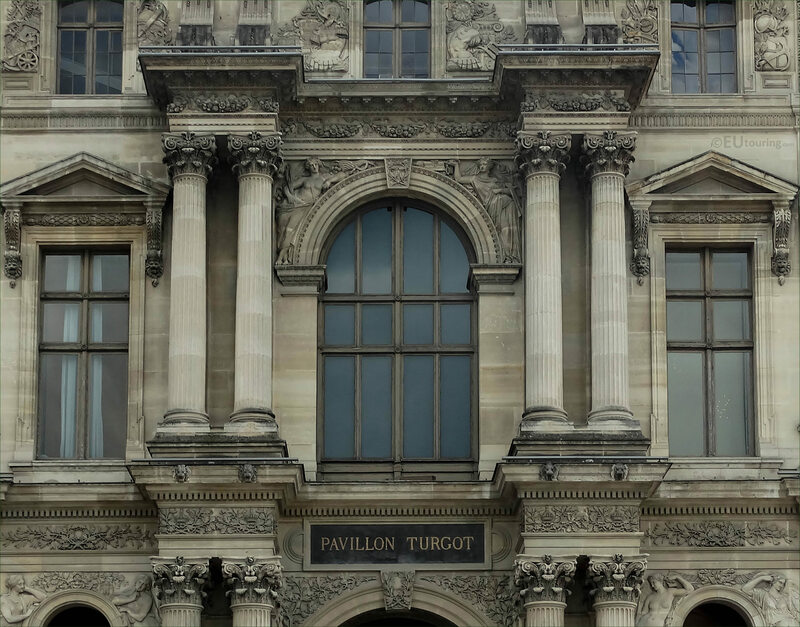 You will find that this particular view of the pavilion shows the western facade that faces the courtyard of The Louvre called the Cour du Carrousel, and therefore behind us would be the Jardin du Carrousel and the Jardin des Tuileries where you will numerous statues and other attractions in the free public park in Paris. But getting back to L'Abondance et la Fortune, this translates in English to Abundance and Fortunate, which was sculpted by Charles Emile Marie Seurre, also known as Seurre the Younger, who was born in Paris in 1798 and became a French sculptor. 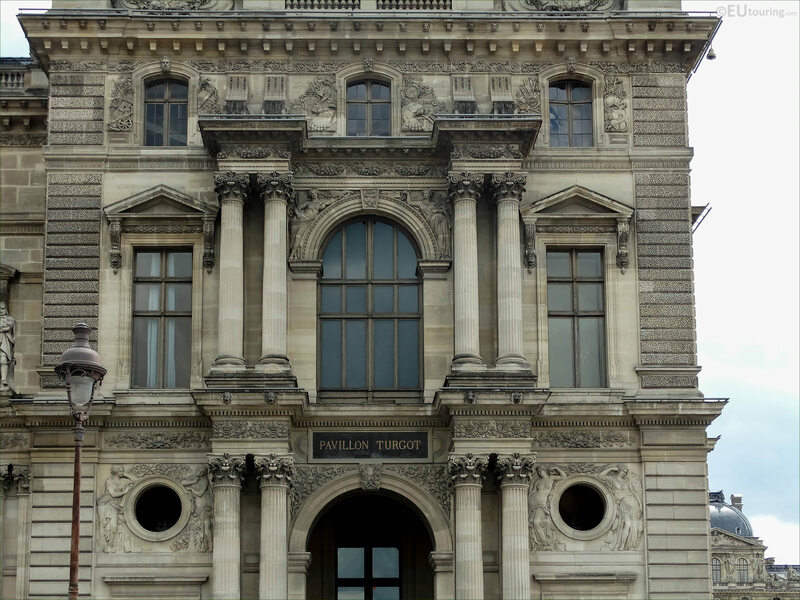 Charles Emile Marie Seurre, the Younger received numerous different commissions throughout his career, including this sculpture of Abundance and Fortune on the Louvre Museum put in place in 1857, only a year before he passed away. Yet during his lifetime, Charles Emile Marie Seurre became most recognised for producing statues of famous French men, some of which can be found at famous tourist attractions such as the bronze statue of Napoleon Bonaparte at Les Invalides, although many are located at the Chateau de Versailles.